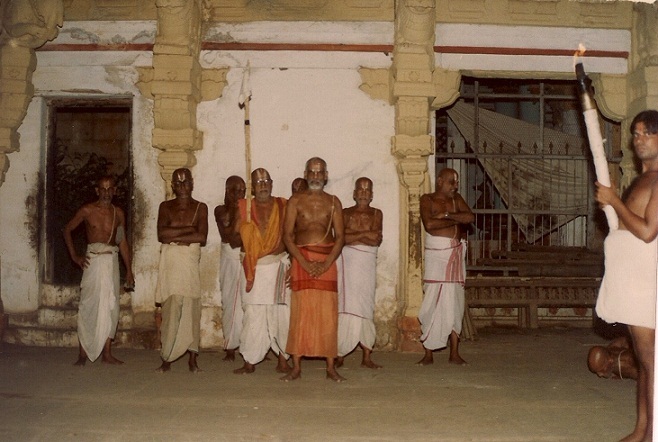 asmadh acharyan - Srimath ParamahamsaIthyAthi PattarbhirAn jeeyar swamy - 29th pattam, Vanamamalai Mutt. * Sri U. Ve.Velukkudi KrishnamAchAryar swamy for planting the seed of attachment to our sampradhAyam and continues to nourishing it ever since. adiyen heard most of our pUrvAcharya rahasya granthams, some arulicheyal vyAkyAnams, stOtra granthams, bhagavad gItA, vEdhArtha sangraham, etc under him. * Sri U. Ve. 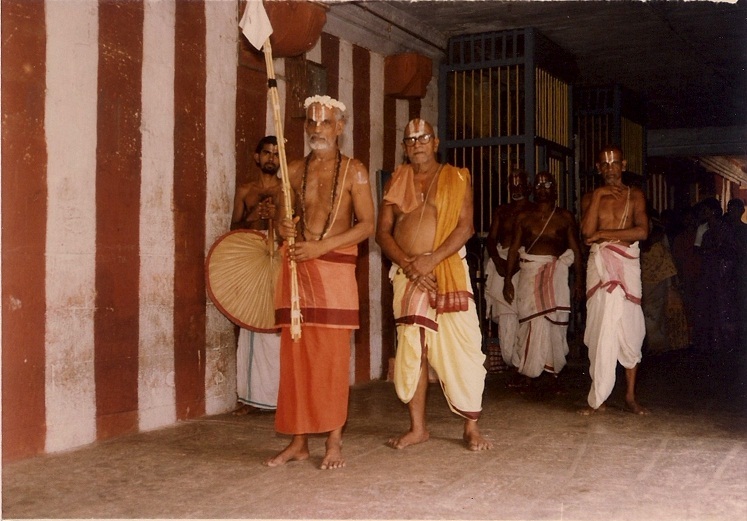 Srirangam Gomatam Sampath KumArAchAryar swamy under whom adiyen is undergoing bhagavad vishaya kAlakshEpam. adiyen also heard mumukshupadi and acharya hrudhayam under him. * Sri Elayavilli U. Ve. BhuvarahAchariar swamy, Sri U.Ve. M. A. Venkatakrishnan swamy and many other scholars under whom adiyen heard some kAlakshEpams. adiyen is also grateful to emperumAn who is uL NinRu uyirgatku uRRanavE cheyyum paran - kooNthal malar manGgaikkum manN madaNthaikkum kulavAyar kozhuNthukkum kELvan (உள் நின்று உயிர்கட்கு உற்றனவே செய்யும் பரன் - கூந்தல் மலர் மங்கைக்கும் மண் மடந்தைக்கும் குலவாயர் கொழுந்துக்கும் கேள்வன்), AzhwArs and AchAryas to allow even such a lowly person like adiyEn to write a few words from their works. thank you very much .I shall attend on 9th and join with all. Good luck.